Everyone knows the #1 Bad Decision Bar in Seattle is whichever one the Mariners' front office was drinking in when they decided to give a 10 year contract to a supposedly-31yr-old second baseman. 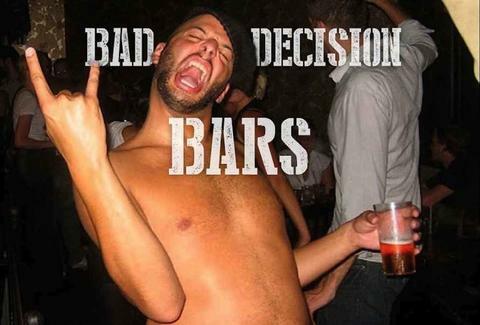 But since we'll never know which one that was, we've identified seven other "Bad Decision Bars" -- the kind of places where you show up for one little beer and leave down about $250 million in someone else's pants. The word “mixer” is a relative term at this UW legend, since bartenders seem to think ice cubes and oxygen make perfectly acceptable complements that tall cup of vodka they just poured you. Either that or they did a REALLY bad job of negotiating with the soda guy. Either way, these liquor bombs don’t stop at 145a like some better-decision making bars. Earl’s goes right up to that 2a buzzer to make extra sure that long, cold walk of shame is totally their fault. How could going to a vaguely nautically themed spot that starts serving at 6a, or hosts morning bingo and regular karaoke, possibly lead to bad decisions? Sorry, we've been drinking since 6a, was that question rhetorical? 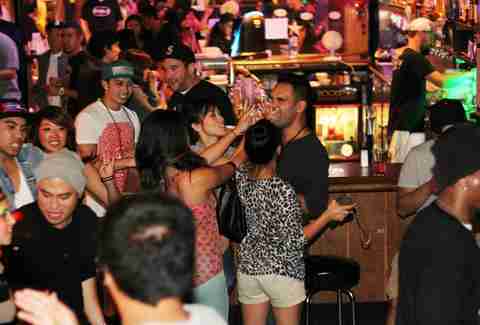 Your first bad decision was probably agreeing to go to any kind of bar in the what some people call the "STD triangle". The second was thinking – after a half dozen cheap pints of Manny’s – that you’d impress anyone with your mind-blowing karaoke skills. 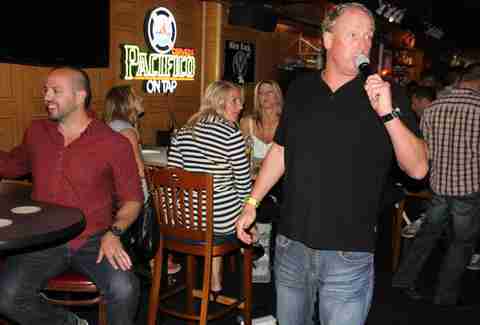 The third was making your karaoke choice “Man, I Feel Like a Woman”. One might think this was a Dennis Erickson-themed bar, given that it’s open 21hrs a day, and, after last call, actually encourages you to get behind the wheel – albeit a simulated San Francisco Rush wheel in their video arcade – for three hours until they start serving again at 5a. If your bad decisions are more the Cortez Kenndey-type, they’ll also serve you heaping plates of waffle fries, eggs, bacon cheeseburgers, or other foods greasier than Jimmy Johnson’s hair until the bar opens back up. Who needs pro hockey when you’ve got The Royal, where UW frat dudes get in fights for a lot less than cross-checking and don’t even have to sit out for two minutes. Not entertaining enough? That girl making out with that guy who just threw up all over the bar will totally need someone else to make out with when he’s thrown out. Peacefully sitting in a hillside bar sipping craft beer and gazing out at Puget Sound actually sounds like a pretty good decision, doesn’t it? It is! At least until the ridiculously cheap beers turn one beer into twelve beers, and you find yourself stumbling over to the Lusty Lady with $8 in quarters, noticing the “For Lease” sign, and screaming “WHY AREN'T YOU OPEN?? ?” at the door. Two things you must know before making the trek to this Ft. Lewis-adjacent boozer: A) Soldiers are known for their high tolerance for alcohol and low standards for women, and B) It’s in the middle of nowhere, a big reason why it was Washington’s #1 DUI bar a few years back. Facts that will become clearer as you speed towards civilization, having just come terrifyingly close to doing something the Mariners won't be doing for the next decade: busting your slump.